The idea of humans being able to breathe underwater once seemed as impossible as humans flying. But just as airplanes let us take to the skies, the invention of SCUBA let us explore underwater. A conceptual design from Jeabyun Yeon would make shallow diving even more natural by allowing us to “breathe” underwater sans air tanks. 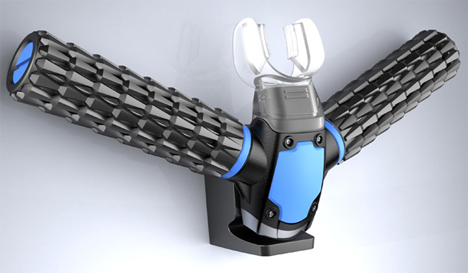 The Triton Oxygen Mask would take the tanks out of diving by performing the amazing feat of separating hydrogen from oxygen. 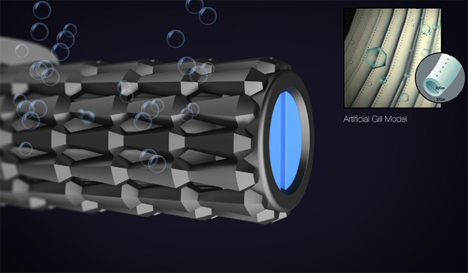 The water would filter through itty-bitty holes smaller than water molecules. The designer says that this technology has already been invented by a Korean scientist. A mouthpiece fits between the teeth while the two handlebar-like filters jut out to the sides. 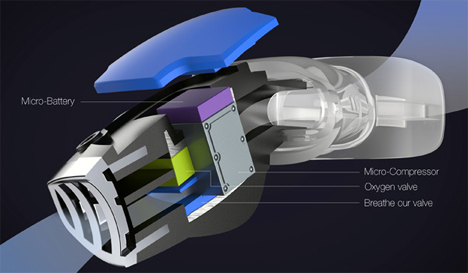 A tiny battery-powered micro-compressor would keep the water circulating in and out through the “artificial gills,” providing the diver with essential oxygen. For the diver, this means swimming almost like a fish, unencumbered by SCUBA gear. 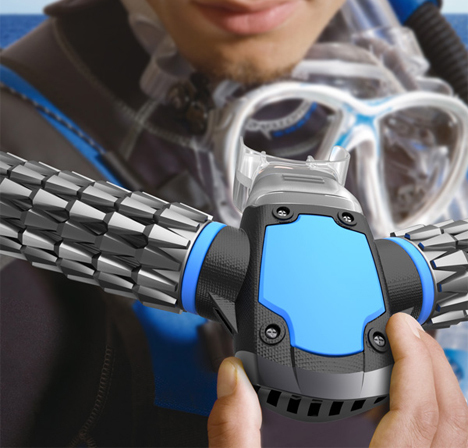 While the science behind this fascinating design isn’t explained fully by the designer, the Triton looks like a fantastic way to enjoy the underwater world without the hindering effects of a full SCUBA setup. Divers would still have to take courses to teach them to dive safely, but going into the water without worrying about tanks could greatly enhance the experience.